Expansion into mobile via Social Point is the catalyst for growth across Asia. A strong release pipeline through 2018 and into 2019 provides potential upside, while competitors generally engage in reorganization activities. Fundamentals remain a cause for concern, as the group operates well above the average P/E ratios of its peers. Take-Two Interactive Software (TTWO) continues to perform well primarily due to the global success of Red Dead Redemption 2 and the continued recurrent revenue stream provided by GTA Online. As GTA Online revenues are projected to decline through 2019, management's belief that Red Dead Redemption 2 Online will fuel growth remains, in the author’s opinion, on thin ice. This is (in the author’s opinion) likely to lead to materially lower 2019 earnings compared to projections and a subsequent decline in investor sentiment and share price (Investor Conference Q3, 2019). Red Dead Redemption 2 is the best-selling game of 2018 at 23m units shipped with improvements expected in Q4s trading update (Take-Two, 2019). Initial indicators suggest Red Dead Redemption 2 Online will not perform in line with GTA in terms of its exceptional long-term recurrent revenue streams. However, this is based on initial user feedback across public discussions, and while it remains the author's opinion this is not supported by quantitative data points, this remains as an unanticipated headwind that has potential to drive the group's valuation lower over the coming months should this thesis prove correct. Revenues generated within the US stand at 52%, down from 55% in 2017, indicative of further geographic diversification, but hampered by the reliance on the console platform in terms of distribution. Net revenues rise to $1.45bn up from $547m propelled by Red Dead Redemption 2, while the revenue platform mix narrows from 82% to 92% of aggregate sales on console. This is driven by the lack of a desktop release for Red Dead Redemption 2. Social Point is driving increased recurrent revenue streams via mobile games Dragon City & Monster Legends, with further catalysts for growth via Tasty Town’s 2019 launch. Exploiting this mobile expertise across a wider range of IP provides mid to long-term upside while the format (mobile) remains crucial for success across the Asia Pacific. The announcement of a new development studio situated in Silicon Valley with Michael Condrey in the lead role indicates material growth prospects moving forward (Seeking Alpha, 2019). This studio is likely to produce triple A titles which would robustly support the large lags between releases of the star players GTA and RDR2. Condrey is well-known for his work on Call of Duty and for co-founding Sledgehammer games. In this author’s opinion, Condrey is a safe choice and provides a sensible alternative to expensive acquisitions of private studios, which remain at elevated valuation levels in the private sector, despite the recent sector-wide drop-off in public gaming companies. International expansion remains a key focus for the group moving through the next 24 months, with slight improvements made to the US/International mix since 2016. Progress remains slow, with expectations for increased growth through Asia in terms of broadening the distribution channels and engaging partners with a specific emphasis on China and South Korea as indicated by management. “In addition, the un-announced title from one of our biggest and most beloved franchise’s remains on track for launch through fiscal 2020”. Is this the first hint of GTA 6? In short, there is no definitive answer, but it provides a tantalising indication of a firm 2020 line-up. However, the GTA series continues to define the company due to its global success and continued profitability (and remember, this is a title last released in 2013). 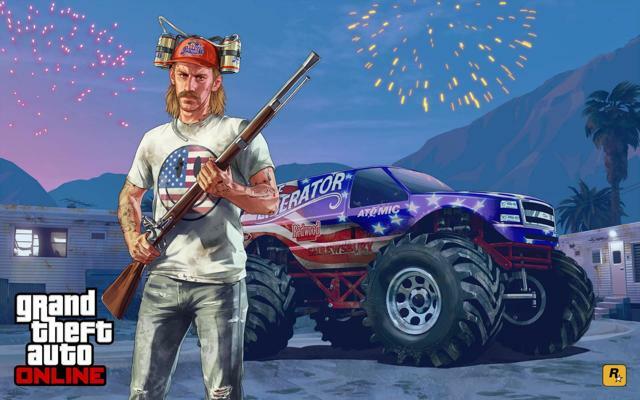 The next title release remains anticipated and highly likely to deliver exceptional performance broadly in-line with that of GTA 5, which sold over 95 million units to date with $6bn in aggregate revenues (Annual Report, 2019). Expansion into Asia via mobile titles produced by Social Point and distributed by partners such as Tencent (OTCPK:TCEHY) will provide the catalyst to seize upon the mobile growth trend, which now accounts for more than 50% of global sales (Newzoo, 2019). It should be noted that Social Point is not the equivalent of Activision Blizzard's (NASDAQ:ATVI) King. It was purchased in 2017 for circa $275m (Techcrunch, 2017), and while segmented results are not published, it is reasonable to assume Social Point operates at a materially reduced scale to King and has reduced opportunities in terms of expansion. Furthermore, it does represent an opportunity for the group to leverage this new expertise in increasing headcount across mobile based teams to produce additional original content, while robustly supporting traditional IP with mobile-based additions post launch, as notably seen with NBA2K Online and its mobile launch (Investor Conference Q3, 2019). This bodes well for the future synergies between the group’s traditional development studios and mobile, as adopting a mobile strategy with a second tier of content that resonates well with key global audiences acts as a mechanism to further exploit pre-existing IP. Take-Two relies on a relatively small frequency of hits and runaway successes to generate the majority of the revenues and profits. Operational issues leading to poor execution across a number of key areas (such as development or marketing) have the potential to cascade into a billion-dollar problem of material consequence and scope. Issues such as changing trends or competitors releasing similar titles would impact profitability to a varying degree. In short, poor execution across major franchises such as GTA (and perhaps RDR2 moving forward) compounded by the lag between releases of 5+ years remains the single most significant risk for Take-Two ahead of its major title launches. However, thus far, risks have been managed and mitigated effectively and this remains a low risk scenario. Boasting a market cap of circa $10.8bn, Take-Two trades at roughly a 5x book value multiple with a 5- year average P/E multiple of x171. This is rather surprising, given 2018's 1-year PE multiple of x62 and firmly highlights the downright lumpy nature of previous year-on-year earnings. This is explained by the long development times of major franchises but nonetheless is an important consideration for long-term value creation metrics. The balance sheet remains in great shape, with no material long-term liabilities, the group retains liquidity, to grow organically and via acquisition. At these valuation levels, acquisitions remain an attractive growth opportunity. Acquisitions of similar size and scope to that of Social Point could well be on the cards over the next 12-24 months as private valuations are expected to decline. Q3 ended with $1.6bn of cash and equivalents on hand, representing excellent liquidity and wider balance sheet strength. However, marketing spend drives operating expenses higher to $299m in Q3, an increase of 45% YoY, largely due to Red Dead Redemption 2. Due primarily to RDR2, OFCF stood at $394m for FY 2018 and is expected to grow to $740m by end of year 2019. These figures are somewhat artificially inflated due to using a non-GAAP measure, and progress through 2019 remains dependent on the continued monetisation of RDR2 Online which remains far from certain. This particular author has less optimism for FY 2019 results than management have recently indicated. The caveat to this being the release of GTA 6, which is certainly a possibility and would drive various financial metrics to a very different (and very positive) place (Investor Presentation Q3, 2019). Take-Two continues to lead the world in quality video-game blockbusters and is ready to execute on numerous catalysts, including mobile expansion and an enhanced title pipeline through its new Silicon Valley studio. The fundamentals remain less certain, with disappointing historic profitability and a reliance on widespread distribution of major releases to fuel aggregate sales growth. Overall, this author believes there are better opportunities in this sector that provide reduced risk and increased scope for reward. To get real-time updates on new articles, follow me right here on Seeking Alpha.